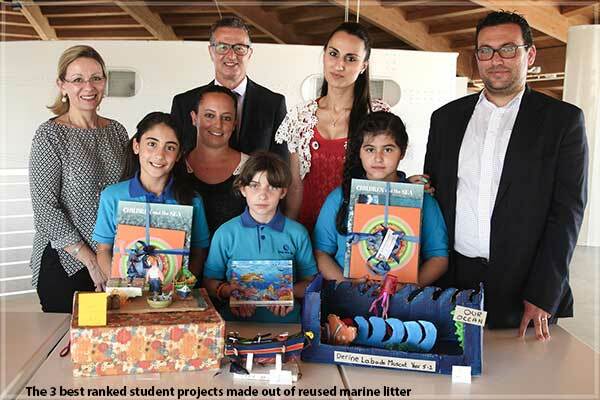 For the second year running, the University of Malta, partnered up with the Malta National Aquarium, International Ocean Institute (IOI), the Malta Tourism Authority (MTA) and Green Pak, in order to organise an ocean literacy event to commemorate World Oceans Day. The event was organised by Prof. Alan Deidun from the Department of Geosciences within the Faculty of Science. At the event, which was housed at the Aquarium and which was attended by Her Excellency The Agent President Dolores Christina, Year 5 students from the Birkirkara Primary School were briefed on a number of challenges currently being faced by our seas, were admitted on a complimentary basis to the Aquarium and submitted their marine-themed projects to a selection exercise. 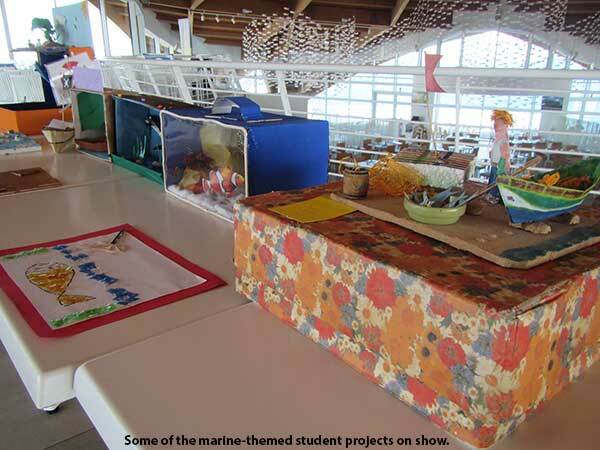 The projects had to involve any production made out of reused components of marine litter, such as plastic, nylon and cardboard and representing any aspect of marine life, landscape or human activity. 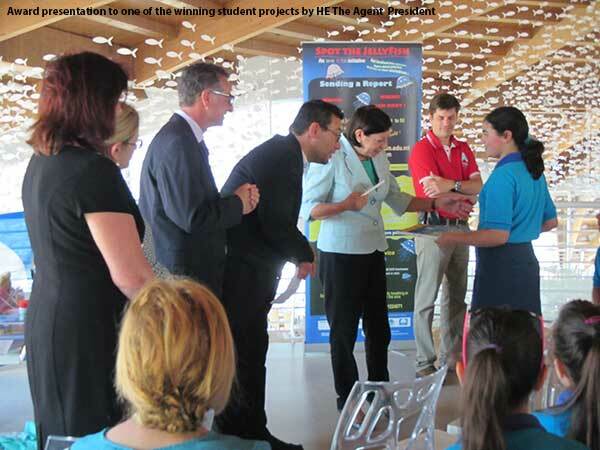 The winning submissions were handed out gifts sponsored by Green Pak, the IOI and by the University of Malta, whilst the Malta Tourism Authority also handed out educational material on the Blue Flag beaches programme. The IOI was represented by Ms. Antonella Vassallo (Managing Director) whilst Green Pak was represented by CEO Engineer Mario Schembri.